Oh So much fun! I haven't written enough about children's books here yet and this is giving me a great opportunity to do so. I am a full time children's librarian who reads and reads and reads and then goes home and reads some more. I will try to do this each week but I'm gonna keep it simple. Here's what Annabelle is reading this week. I love Elephant and Piggie. There is a Bird on Your Head! is one of my favorites. The sense of humor in these books is unparelled. I haven't come across a series that is as funny. Mo Willems is a comic genius, in my opinion. His latest found its way home too, I am Going! just came out this year. My husband loves these too which is great because he does a lot of the reading at home! I am a little embarassed to admit this but I don't read nearly enough to Dashiell. Annabelle would sit for the longest time and read books. Part of it is his personality. He is always on the go! The other part is the fact that we are much busier with two kids than with one. My husband and I discussed this early this week and we are trying to put in in our routine to read just to him. 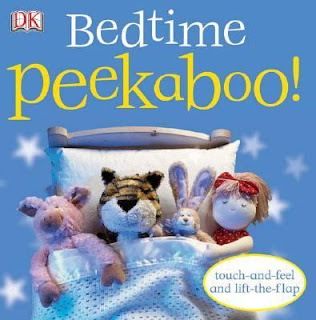 Sweet story that has nothing to do with this book but the other night when I was working late, my husband was putting the kids to bed and reading with them on the couch. He said he was so surprised how quiet Dashiell was being while he was reading then he realized Dash had fallen asleep on Annabelle's shoulder. So sweet! Dashiell loves this book for the babies! He gives them kisses. He sits well for this one. Last night I read this and two others before he was off my lap. Julie, I'm so heartened to hear that you read less to Dashielle than Annabelle. We have the same situation here, and I'm sure it's partly that Nathaniel's just more into books than Cora (who mostly wants to eat them, which he never did.) But a lot of it is that I just had more time with him, and I feel horribly guilty about it, and look forward to Cora being big enough that she might want to listen to a story without me having to wrestle the book out of her mouth . . . thank you for sharing! Hi Julie! We just checked out "There is a Bird on Your Head" this week too! It's just one big long and funny comic strip. We also got the "Let's go play outside" with piggie and gerald and it's just as funny. 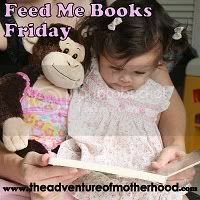 I have a meme called Feed Me Books Friday on my blog as well and would love for you to link up this post so that other moms can learn about these books. The post will be up by 9pm tonight and the moms really do visit each other to find some good reads. We'd love to have you if you are interested. I love Mo Willems. 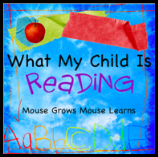 It is fun for my son to listen to and fun for me to read. I love the book about going to the swim, costume, formal party. Oh, Mo Willems! I have to check that one out! Mo Willems is one of my favorite children's authors! Knuffle Bunny and Knuffle Bunny Too are my third grader's favorites. I can't wait to check out "There is a Bird on Your Head!" Excited that I found you through Feed Me Books Friday and become a follower of your blog! Hope you will check out our post on books that encourage imagination over at the RefrigeratorArtist.com blog! There is a Bird on Your Head! is hilarious, especially when the birds have babies. My kids love the book and they like to find the hidden pigeon as well. Thanks for joining this week! We also love Elephant and Piggie series, and my daughter swallows them whole :) I am going to write more about them in my WMCIR post tomorrow. Thanks very much for the Bird On Your Head recommendation! I've glanced at the Pigeon books several times and not been able to figure out quite what makes them so popular, but I knew I must be missing something since so many people love Mo Willems. Sounds like we should definitely give Elephant and Piggie a try! I've heard great things about Mo Willems, but I haven't read anything by him yet. We'll have to get some Elephant and Piggie books at the library. Also, I've had a harder time reading just to my younger one, too. She sits great when we read, but it's at a preschool level for the older one. I've started reading books to her before her nap since the older one doesn't nap anymore and that's been a huge success! That's actually helped me to choose books for her age and then the older one joins in, too. So far, so good. Love Mo Willems! Haven't read this one yet, though! Yeah! Thanks for linking up. It looks like several of the ladies came by and love Mo as much as you! Hope to see ya again some Friday! I'm requesting Knuffle Bunny at our library this week. I'm a new fan of Mo.